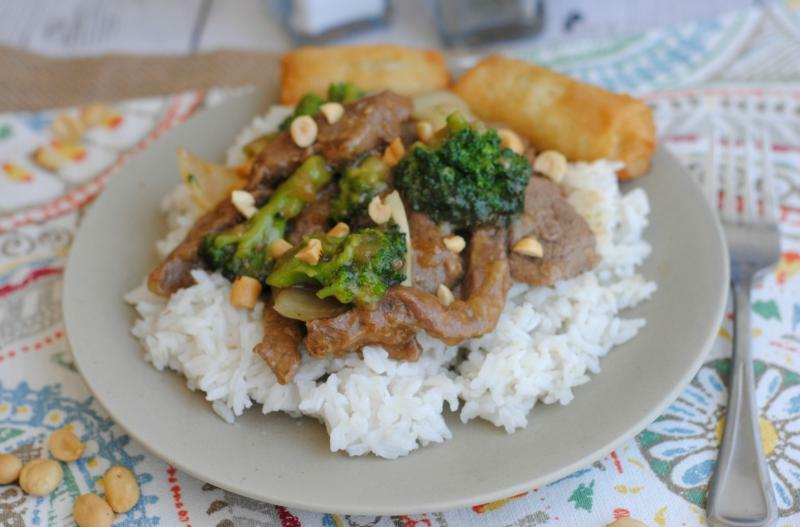 No need to order take out with this delicious and easy one pan meal! If needed, thinly slice the sirloin steak, slicing across the grain of the meat. Place into shallow dish for marinating. Cut the onion into large chunks. To a large skillet or wok, add the beef slices and marinade and saute over high heat for 5 minutes. Add the onion chunks and broccoli florets and saute for a few more minutes. If needed, mix the cornstarch with equal amount of water and whisk into the sauce to thicken it. Reduce heat to low and simmer for 5 minutes, while sauce thickens. Garnish with chopped peanuts. Serve Szechuan Beef Stir-fry over rice with egg rolls. Cut 2 onions into large chunks. Put baggie in the freezer and freeze up to 6 months in fridge freezer or 12 months in a deep freezer. Thaw in the fridge overnight, or a warm bowl of water for about 20 minutes, before transferring to skillet or wok for cooking. Stir in cornstarch and water, as directed in the recipe. Look for the pre-cut strips of beef in your grocery store. 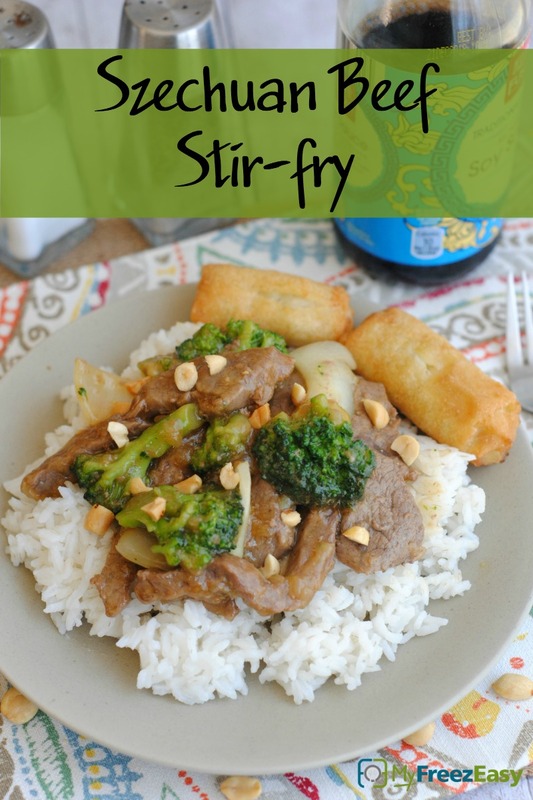 If you don’t find any, purchase a sirloin steak and slice it across the grain to create beef stir-fry strips. Recipe is gluten-free when you use gluten-free soy sauce. If needed, use alternative side dish for the frozen eggrolls. Thaw and saute in wok or skillet over high heat, until beef is cooked through and veggies are softened. Stir in the cornstarch with equal parts water at the end of cooking, to thicken the sauce.